Component is a self-taught artist and illustrator. He draws influences from music, art and his local environment, successfully managing to straddle the commercial, art and street worlds. His work is predominantly in acrylic, spray paint and stencils as it provides a harmonious blend of his early printmaking skills and appreciation of graffiti. His artworks are often satirical pieces which encompass topics from politics to culture. Component’s paintings are highly collectable and his street art has appeared in cities throughout New Zealand. 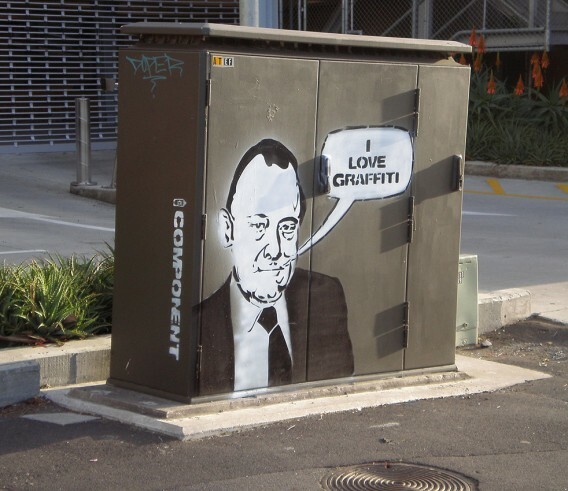 Combining graffiti with a distinctive stencilling technique, his work is clever, witty and gently subversive.